With this worksheet, kindergarten students practice color recognition skills. 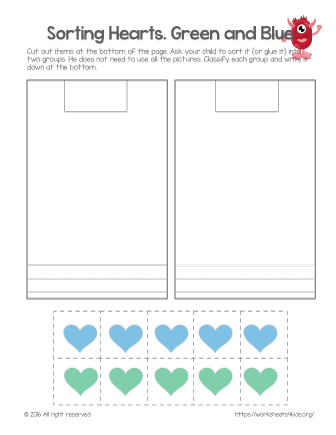 Green and blue hearts sorting activity will fill your class with love and hearts. Cut out ten hearts at the bottom of the worksheet and have your child sort it into two groups, classify them and justify his decision.